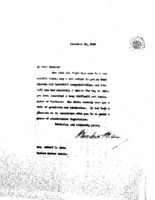 Date is exactly "1913 December 23"
Woodrow Wilson is writing to Senator Robert Owen thanking him for his efforts on passing the Currency Bill. 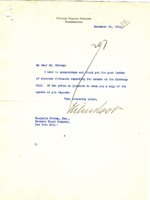 Woodrow Wilson writes to Mary Allen Hulbert Peck sending Christmas greetings and telling her about his health. 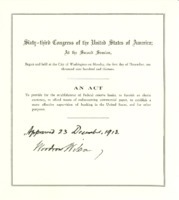 Woodrow Wilson approves of the establishment of the Federal Reserve banks. 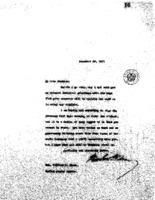 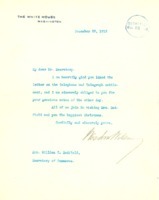 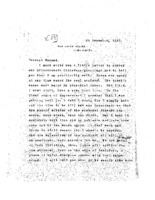 Woodrow Wilson thanks William C. Redfield for his comments on the Telephone and Telegraph settlement and sends happy Christmas wishes to him and Mrs. Redfield. 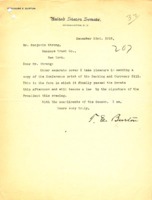 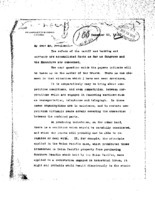 Senator Theodore E. Burton writes Benjamin Strong Jr. to send a copy of the Federal Reserve bill. 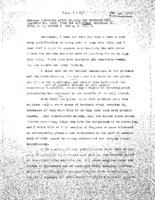 Senator Elihu Root writes Benjamin Strong Jr. to send him a copy of a speech on the Federal Reserve Act. 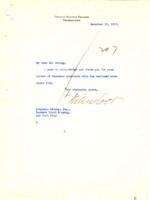 Senator Elihu Root writes Benjamin Strong Jr. to thank him for a newspaper clipping.